This is my life, unscripted. : I'm here! This is my life, unscripted. How is it already July? Seriously? No, really? School starts back up in about 2 weeks. I cannot believe it. I had a list of things that I was going to do this summer. I haven't even started it yet! Yikes. But, lets not talk about it anymore. I don't want to feel unproductive. I decided to sign up for this math project. I don't know who but someone is giving me lots of money to do this. The only downfall is that next week I have to give up my whole week to learn about math. And during the school year once a month I have to give up an entire Saturday and one day a month 4 hours after school. Monday should be very interesting. My sleep schedule is backwards. I went to Vegas at the beg. of July and ever since then my sleep has been very abnormal. My normal hours right now are 730am-300pm. Yes, while most of the world is out at work I am in bed snoozing away. Then I stay up all night. It's very crazy. But, one nice thing is going outside at 6 to do yard stuff. Monday morning I need to leave the house at 730 am. Again Monday is going to be a very interesting day. I have some new things that I'm implementing into my life. One of them I have to re-start. 1. I am doing an organization program to get things in order. Right now it's just a transition so I have different things to do each day. 2. Not spending any money unless it's something I need, not want. I just turned 30, I am now a young 30's something girl. I graduated from college and am trying to figure out what I want to do with myself. 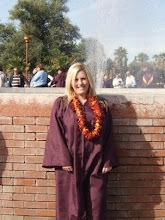 I got my degree in Elem. Education. Latley I have come to the conclusion that I do not want to be a teacher in Arizona. I am either going to find another job or teach in a different state, such as Texas (time will tell). 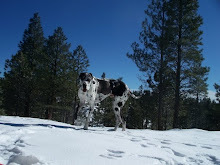 I love my great dane Deuce. I would blog about him every day if I thought it wouldn't get me admitted to the mental ward.